Valladolid is culture, nature and … booze? TravelPulse.com recently published this interesting piece on Valladolid, Yucatán from the observational perspective of someone who is not native to the region, but knows his way around the area pretty well. Valladolid is a destination in the Yucatan that many often skip, preferring to hit the coastal towns instead. Although it’s true that the beaches in the region are stunning, it would be a shame to miss out on the culture, sights and activities on offer in this little locale. With a population of around 45,000 people, and a size of 431 square miles, it’s surprising that this diminutive town has so much for tourists to enjoy. There are many things that you should see and do during your visit, but these are our top three. One of the special things about Valladolid is that there is a cenote in the center of town! 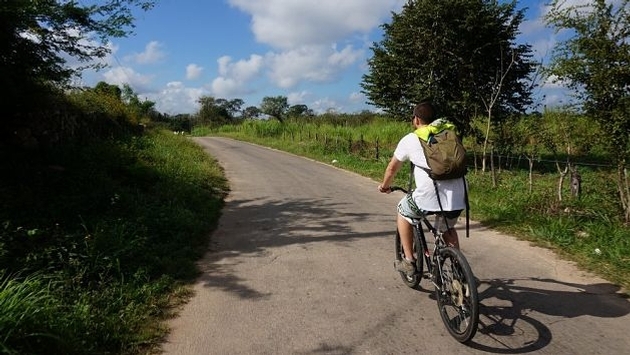 Getting to Zaci Cenote is easy by foot, or if you’re feeling tired and hot, you can hire a taxi or a bicycle to get you to this spectacular sinkhole. Zaci is 150 feet wide and 260 feet deep. Swimming here is definitely possible, making this a nice respite from the tropical heat. There’s also a restaurant on site serving up affordable local food. 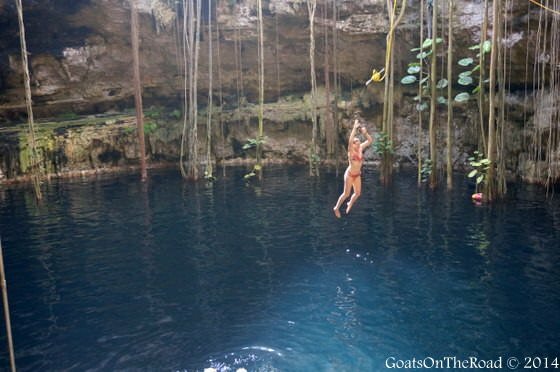 Oxman Cenote is about three miles outside of town, and is definitely worth the trip out there. 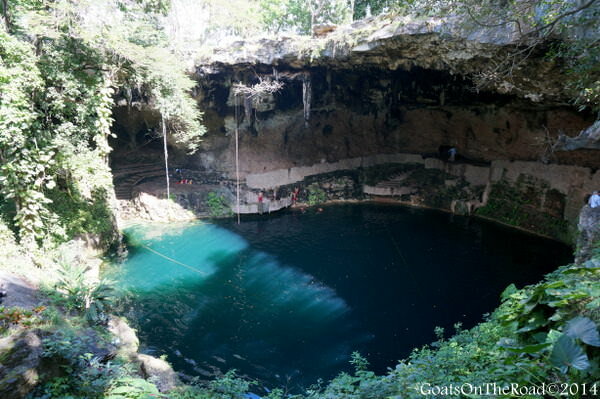 Located on the lovely Hacienda San Lorenzo Oxman, down a dirt track, this cenote is a must-see. Trees dangle their roots from the top of the cenote, reaching down into the fresh water for a drink. The actual water portion of the cenote is 213 feet deep, but you must descend many steps from the top to reach the water — which adds to the grandeur of this swimming hole. There’s also a 26 foot high swing, for the daring. The history of the Mayan people, and their culture is what makes traveling in the Yucatan so special. If you’re staying at Casa Hamaca Guesthouse, the owner there will be able to tell you more about the incredible outdoor theater performance “Momentos Sagrados Mayas” which is located in the village of X’ocen. After a nine-mile taxi ride, you’ll arrive in the village, and at the entrance to the theater. It’s not so much a theater as it is an open-air area with some benches for the audience, chickens and kids running around, and many trees making up the backdrop. 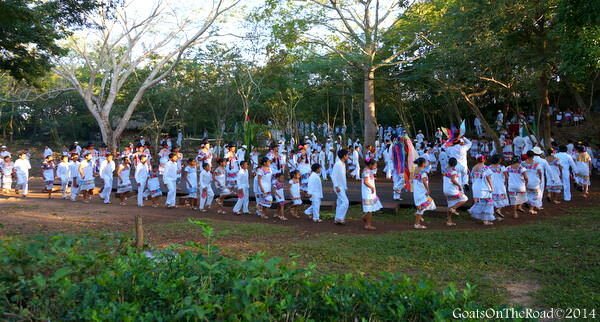 The play showcases the daily life of the Mayan people. Everything from bargaining at markets and tending to the livestock, to men flirting with women, and drunk husbands being told off by their wives! This 1.5-hour show is incredible. The traditional dancing, colorful clothing and the stories told are all fascinating. Visiting a beach, a cenote, or colonial towns can be done in many parts of Mexico, but nowhere else has this performance. Highly recommended. When people think of Mexico, tequila typically comes to mind! In North America, we normally drink tequila in the form of margaritas, either blended or on the rocks. However, Mexicans prefer their tequila straight up, choosing to sip rather than shoot the liquor. Did you know that you can’t actually call it “tequila” unless the booze is from the state of Jalisco, which is home to the city of Tequila? It’s similar to the Champagne situation. This is one of the many things you’ll learn on a tequila tour. The Mayapan Distillery is just a 10-minute drive from Valladolid, and is set on a lovely acreage, with the blue agave plant (which is what tequila is made from) dotting the landscape. 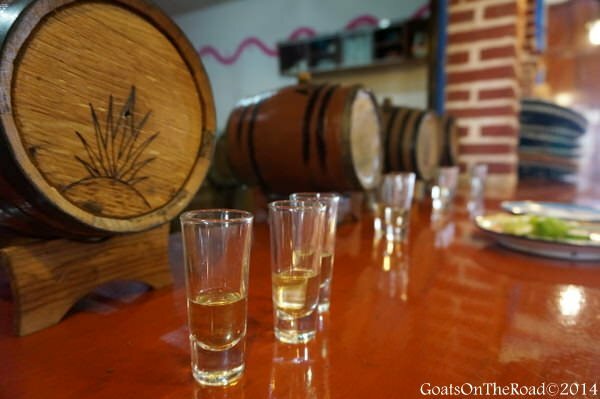 On the tour of the distillery you will learn about the many steps in making the popular liquor and how all parts of the plant are used when making the tequila, and there is a tasting at the end. There are many stages in the tequila production, and you’ll be able to sample three of them: 3 months, 1 year and 3 years. Bottoms up! TravelPulse.com has been online since 2002, delivering travel news, dynamic video content and important supplier and destination information for hundreds of thousands of travel agents worldwide.